Kristyn created a St. Patricks Day banner that I am absolutely in love with. 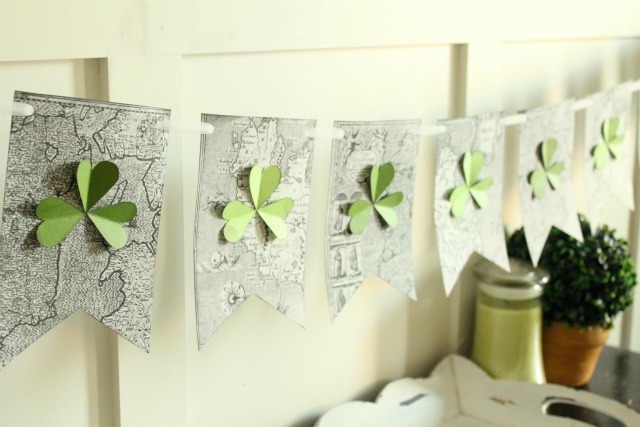 The pennants are print outs of old maps of Ireland that she adorned with paper shamrocks. It really doesn't get more festive than this. You can see the tutorial for the St. Patrick's Day garland and get the printable maps of Ireland over at Lil' Luna. I love it it's so pretty!